Verizon Networkfleet is now Verizon Connect. Keep your mileage and preventative maintenance triggers up-to-date! Odometer readings automatically sync every day at midnight (in your account’s time zone), or you can manually trigger a sync at any time with one click. See a fleet vehicle’s current location and driving status at any time on the vehicle profile page within the Fleetio user interface. Don’t rely on drivers to tell you if their “check engine” light is on! 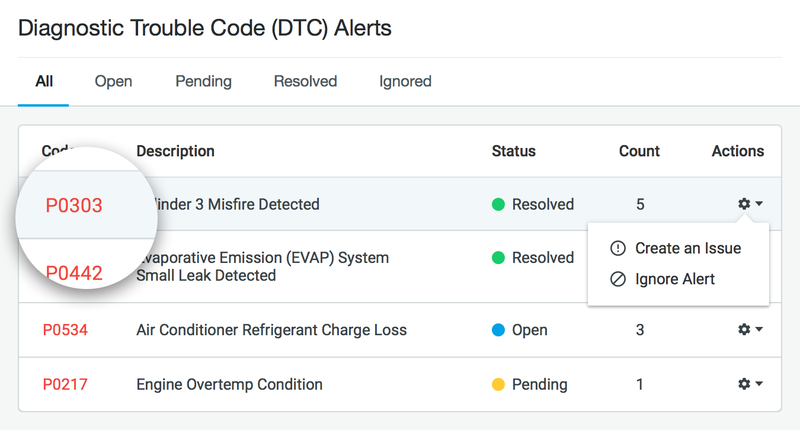 Get an email notification when new fault codes are detected by your Networkfleet devices, and create an Issue in Fleetio from a fault code with one click (or choose to ignore it). Ever been suspicious of fuel theft? 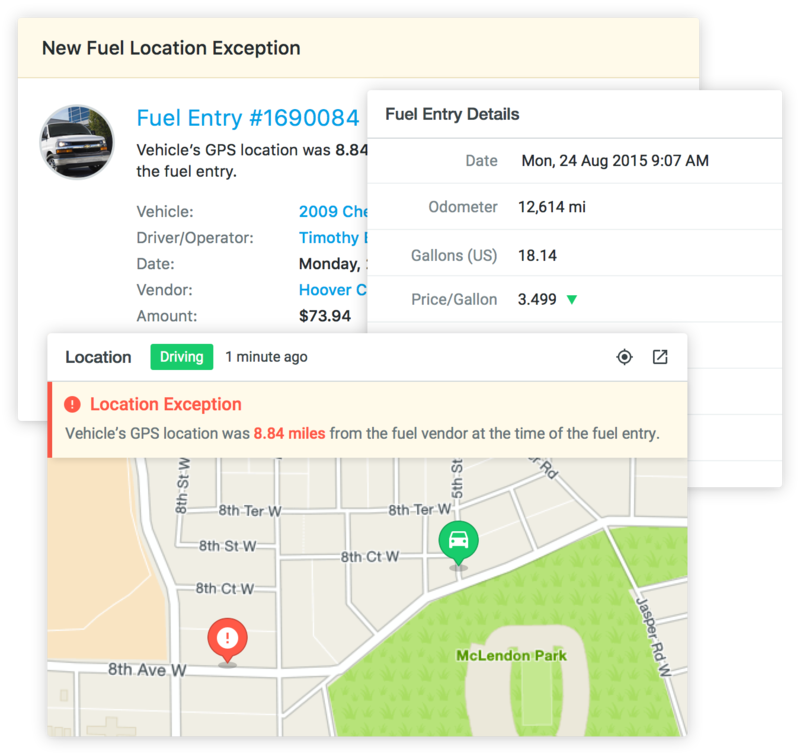 Now fuel card transactions are automatically compared against actual vehicle locations, and geolocation differences exceeding a certain threshold are flagged. Get a daily email summary and detailed map visualization of the occurrence. Already a Fleetio & Verizon Networkfleet customer? Setting up the integration is simple!